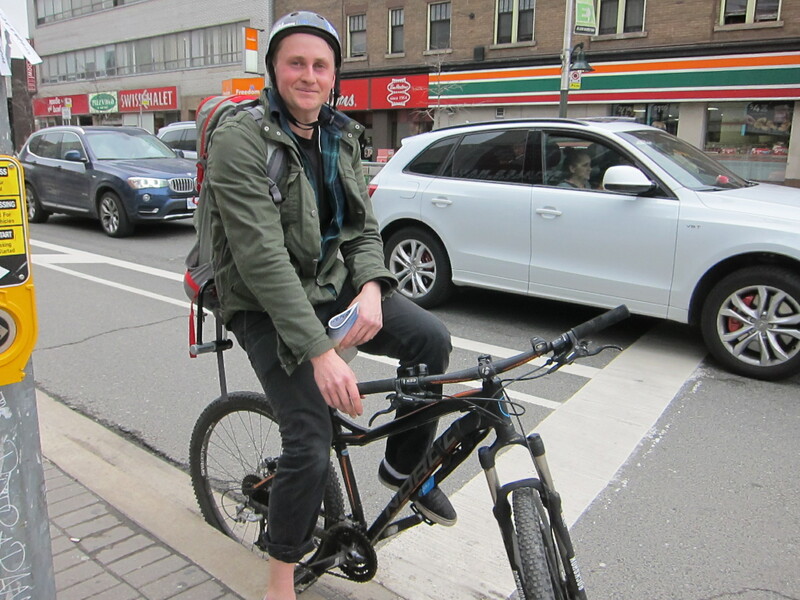 Bike Spotting: Do you shop on Bloor? The Bloor Bike Lane pilot project has been installed for about six months now. Since its installation local businesses have cited a drop in sales because of the loss of on street parking.The city released a survey last week to gauge the public's reception of the long awaited lane. But we didn't feel like waiting around to hear the results. So we popped down to Spadina Ave and Bloor St to see what people were up to themselves. 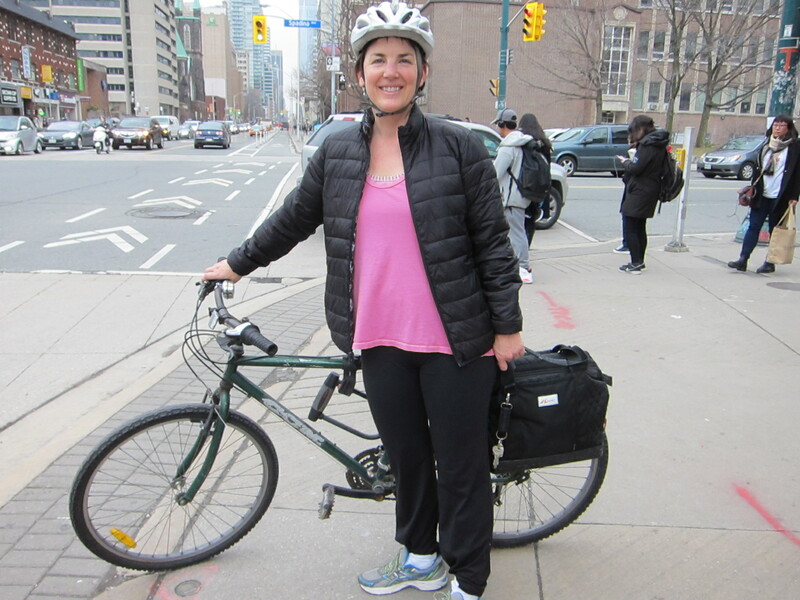 "I live near Christie Pits and I ride my bike and walk pretty much everywhere within a one hour radius. I use Bloor a lot and as you can see I've got my shopping bag and am about to go pick up some groceries on my way home. That being said I could go on and on about the Bloor bike lane and how it's not good enough. There is the added danger of passengers opening their doors into the lane who aren't used to it. It's so dangerous. It's much better when the lane is on the outside of the parking." "We do everything by bike! Toronto is one of the best places in the world to cycle and the Bloor Bike Lane is one of the best." "I picked up some carrots today! 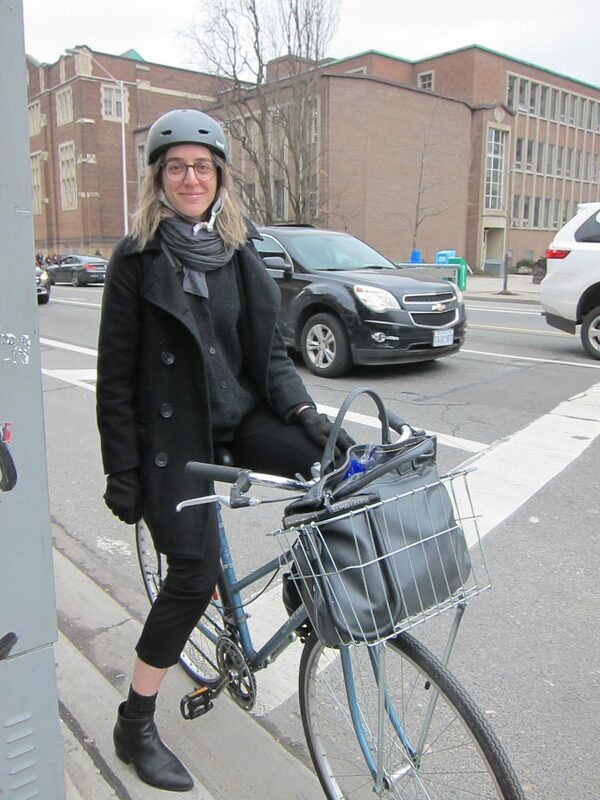 But I do go shopping along Bloor and always use the bike lane." "I'm not shopping today just heading to class but I do use my bike to run errands. To be honest I don't usually use Bloor I don't like the lane. I almost got doored just west of Bathurst a couple of minutes ago and it's too narrow. I think there are better cycling infrastructure options around the city-Sherbourne's good, Harbord's good. 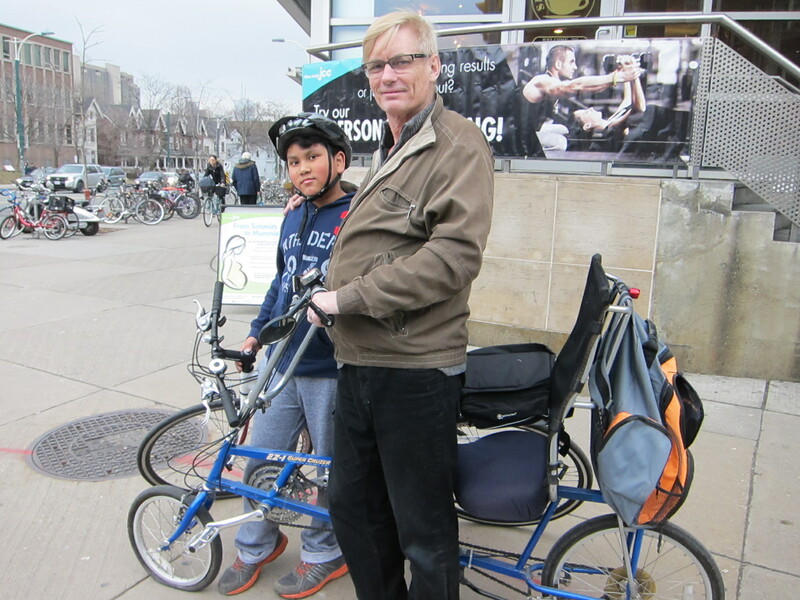 I prefer Dundas even though there isn't a bike lane there because it's wider." Bike Spotting: How Has the City Been Doing With Bike Lane Maintenance This Winter? Bike Spotting: What do You Think of the Plan to Install Barriers to Separate the Existing Bloor Street Bike Lane?